(Newswire.net — November 17, 2017) Poughkeepsie, New York — Manufacturing excellence is only one of many ways that the Schatz Bearing Corporation stands out from its competitors. The company, headquartered in Poughkeepsie, New York, was recently recognized by the Boeing Corporation with the aerospace giant’s 2017 Gold Supplier Award. This is not the first time that the precision bearing manufacturer has been singled out by Boeing; it has been awarded with the firm’s Performance Excellence Award in 2015 and 2016 as well as earning a Silver composite rating every year since 2013. Our manufacturing and executive teams are thrilled to be recognized by Boeing in this way,” says Stephen Pomeroy, Ph.D., President of the company. “Boeing’s prestigious industry awards are a testament to the hard work we put into developing and manufacturing components for the aerospace industry.” To learn more about the bearing manufacturing company’s extensive line of airframe control and aerospace products, visit https://schatzbearing.com/ball-bearing-products/airframe-aerospace-bearings/introduction/. To achieve the Gold Supplier Award, a supplier must maintain a rolling average of 100% in on-time deliveries to Boeing along with maintaining a 100% quality rating on delivered products, with zero defects recorded. A rolling average represents the mean of deliveries over a period of time; Schatz has maintained this outstanding average over the course of the 2017 fiscal year to be recognized in this way. Boeing awards companies for the products, services, and value they create for the aerospace firm, which has customers across the globe in commercial airlines, defense, and security. 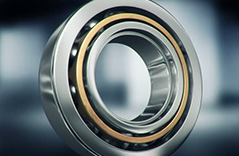 By adhering to rigorous quality controls and continual analysis of their bearing products, the bearing company is able to exceed customer expectations time and again. For application in a variety of industries including medicine, robotics, agriculture, and aerospace, the New York-based Schatz Bearing Corporation manufactures the highest-quality bearings and linear motion products. The company is known for its innovation and adherence to industry-leading quality in bearing manufacturing. All of the products produced in their Poughkeepsie facility meet or exceed ISO9001:2008 standards. The vast experience of the company has allowed them to design and produce specialized solutions for specific industry applications.